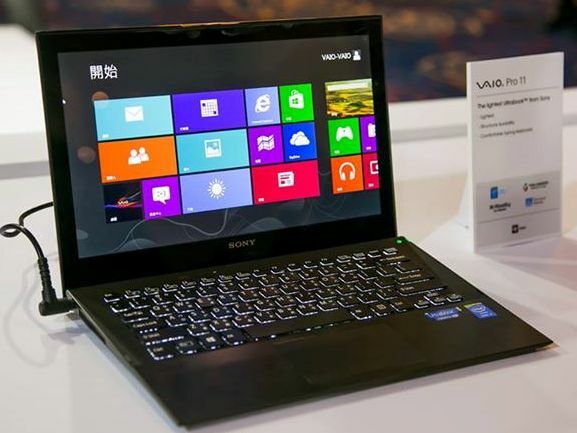 Sony unveils two Ultrabooks, Sony Vaio Pro 13 and Sony Vaio Pro 11 along with sheet batteries. Both are light weight Ultrabooks with Pro 11 weighs 871gms and Pro 13 weighs 1.06Kgs. 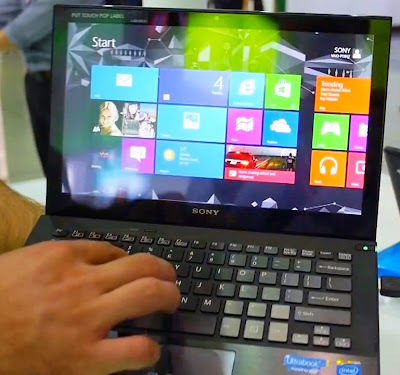 The Sony Vaio Pro 11 features 11.6-inch Full HD Triluminos 10-point multi-touch display of 1920 x 1080 pixel resolutions and is powered by 1.8GHz Core i5 Haswell processor with 4GB of DDR3 RAM. The Vaio Pro 11 comes with 256GB of SSD storage and a battery that delivers 11 hours of back up. With sheet batteries it goes up to 25hrs. It has a price tag of $1150 USD. The Sony Vaio Pro 13 features 13.3-inch sensor Full HD Triluminos 10-point multi-touch display with a glossy finish and is powered by fourth generation 1.8GHz Intel Core i7-4500U Haswell processor with with Turbo boost Technology having 8GB of DDR3 RAM. 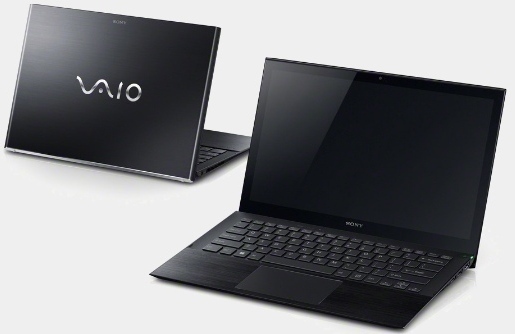 The Vaio Pro 13 comes with 512GB SSD storage and battery delivers 8Hrs of back up. With sheet batteries it goes up to 18Hrs. It measures 322x216x17.2mm in dimension. It has a price tag of $1250 USD. Both has options for Windows 8 and and Windows 8 Pro OS and has color option of black or silver colors. Connectivity and Expansion options includes Wi-Fi, Bluetooth 4.0, card reader, USB 3.0, USB 3.0 with charge, SD memory card, HDMI out, NFC, headphone jack. Both has a thickness of 18mm. Tags:Sony Vaio Pro 11, Sony Vaio Pro 13, Sony Vaio Pro 11 features, Sony Vaio Pro 13 specifications, Sony Vaio Pro 11 review, Sony Vaio Pro 11 details, Sony Vaio Pro 13 availability, Sony Vaio Pro 11 specs, Sony Vaio Pro 13 images, Sony Vaio Pro 11 pics, Sony Vaio Pro 11 pictures, Sony Vaio Pro 11 imgs, Sony Vaio Pro 11 price,Sony Vaio Pro 13 Network options, Sony Vaio Pro 11 Expansion options, Sony Vaio Pro 11 multimedia features, Sony Vaio Pro 13 Sensor options, Sony Vaio Pro 11 Gaming options.